Subaru Auto Body & Collision Repair in Ashland, Oregon, serving Talent, Phoenix, Medford, Central Point, White City, Eagle Point, Jacksonville, Applegate, Ruch, Hilt, Montague, and Yreka. Subaru is known for building vehicles that are equipped with advanced handling, safety features, and the capability to get you where you need to go regardless of what weather and road conditions may be. Subaru has long been producing dependable, durable, and technologically advanced vehicles at a great price. You can rest assured that we will provide you with excellent service, quality tune-ups, and auto body repairs that will return your Subaru to pre-accident condition and factory specifications. At Anderson Auto Body & Paint we have many years of experience repairing Subarus. Our highly trained, certified technicians and friendly staff are here to help with all of your Subaru's auto body, collision, minor dent repair, and mechanical needs. Whether you need a tune up, an oil change, a fender bender repair, a quick paint touch up, or a complete paint job for your Subaru, we ensure that you will be pleased with the service received and the quality of your repair. 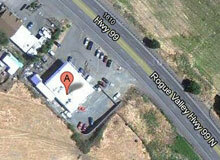 Our Subaru auto body and collision repair facility is located in Ashland, Oregon. We proudly serve the following areas: Talent, Phoenix, Medford, Central Point, White City, Eagle Point, Jacksonville, Applegate, Ruch, Hilt, Montague, and Yreka. We at Anderson Auto Body & Paint look forward to being your Subaru auto body, collision repair, and mechanical maintenance facility. Give us a call at 541-488-3635 or click here to contact us. Schedule an appointment for you next Subaru repair or tune-up today! Please click here for location details, or to contact us online. We are confident in our ability to restore your vehicle to pre-accident condition. 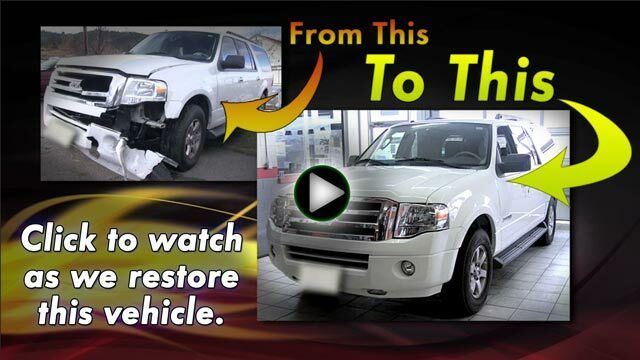 Watch the video above to see us restore an actual customer vehicle.